In the course Letters as Sociohistorical-Linguistic Documents, we have learned that social status was of great importance in the late modern English society. Therefore, it comes as no surprise that especially experienced writers applied a variety of different styles to their letters, depending on their relationship to the addressee. We read about that, for example, in Palander-Collin (2008), who analysed letters from the 18th century in terms of linguistic register variation. So far, so good: When I was working on a totally different assignment for another course, I came across the LIWC tool that analyses texts word by word and groups all words into at least one of 68 categories. Using this tool, the researcher can easily get some first hints at the degree of formality given in the text. 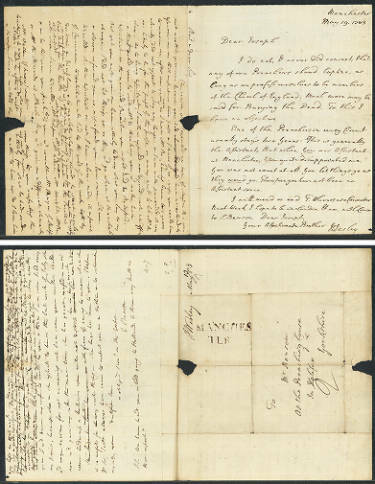 I picked John Wesley’s letter to Ann Avison from April 20th, 1767, as well as his letter to Sarah Wesley from June 28th, 1758, his letter to Joseph Benson from May 19th, 1783, and his letter to Ebenezer Blackwell from May 7th, 1760. To my knowledge, the relationship between Wesley and the women was quite personal, while the contact to Benson, but especially the contact to Blackwell, was more of a formal kind. Is the LIWC tool able to reveal this? Well, the results are a bit ambiguous, since only the letter to Blackwell could be clearly categorized as formal. For the other letters, there is a tendency towards ‘personal text’. Nevertheless, there are some interesting points: All four letters have a very high percentage (10.49 – 11.82%) of what the tool regards as ‘social words’. For comparison: An average contemporary formal text contains 8.0% of social words and an average personal text 9.5%. Thus, the amount of social words in the analysed letters is unusually high for today’s standards. I can imagine that this is due to the numerous references to family, friends, etc., and to the expressions of affection and politeness found in late modern English letters. Furthermore, the tool counted a low number of self-references in the letter to Blackwell (1.79%), which is a hint at a high degree of formality. In the other three letters, more self-references were made (3.83 – 7.51%). In this respect, the tool was right, since the letter to Blackwell is the most formal one. Moreover, this hints at the differences in style I mentioned earlier in this post: While self-references seem to be fine for personal letters, they are rather rare in formal letters. All in all, I think the LIWC tool is an interesting means for a first rough analysis of letters, especially in quantitative studies. For the letters I analysed, it showed that Wesley indeed could alter his style to some extent, depending on the relationship he had with the addressee. Hopefully, I will have the time to do a more detailed analysis. However, until then it should be kept in mind that I applied the tool to only four letters, so the results should be taken with caution. Palander-Collin, Arja Nurmi. 2008. Letters as a Text Type: Interaction in Writing. In: Dossena, Marina and Ingrid Tieken-Boon van Ostade (eds). Studies in Late Modern English Correspondence. Bern et al: Peter Lang. 21-45. Pennebaker, James et al. 2007. Linguistic Inquiry and Word Count.http://liwc.net/index.php (accessed at 14/10/2012). 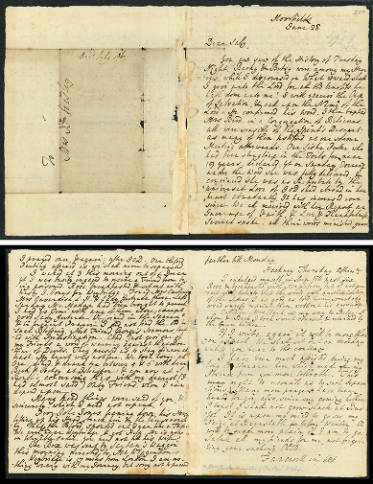 Gallery | This entry was posted in 18th-century letters, 19th-century letters, letter writing and tagged John Wesley, letter writing, LIWC, social status, variation in style. Bookmark the permalink. Where did you find the images of the letters?